TLJ News: March 16-20, 2012. 3/20. Rep. Ted Poe (R-TX) and Rep. Steve Chabot (R-OH) introduced HR 4216 [LOC | WW], the "Foreign Counterfeit Prevention Act", a bill to allow Customs and Border Patrol (CBP) to share information with, and obtain assistance from, rights holders and other parties affected by importation of possibly infringing products and circumvention devices. Pep. Poe (at right) stated in a release that "Right now, CBP officers are on the front lines of trade enforcement, but they are not allowed to share information with the people most knowledgeable about the authenticity of their products -- the right holders"
"Instead, they are faced with the nearly impossible task of inspecting all of the counterfeit and potentially dangerous goods -- from pharmaceutical drugs to movies, blow dryers and video games, to determine what is genuine and what is counterfeit. We are setting them up for failure. This broken system is hurting American designers and manufacturers", said Rep. Poe. The problem, according to Rep. Poe and Rep. Chabot, is the CBP's interpretation of the Trade Secrets Act, which is codified at 18 U.S.C. § 1905. Section 1905 is a broad criminal prohibition of disclosure of information by officers or employees of the federal government of certain trade secrets, proprietary information, and certain confidential commercial data that they obtain in the course of investigations. CBP officials obtain information about importation of possibly copyright and trademark infringing products and circumvention devices banned by 17 U.S.C. § 1201. This bill makes clear that the CBP can forward such information, and samples, to the rights holders and other injured parties. Such sharing would enable rights holders to assist the CBP. The CBP has construed the statute to prohibit it from giving rights holders information about, and samples of, infringing goods and circumvention devices. as it was presented to the U.S. Customs and Border Protection, without redaction, whether imported into or exported from the United States, or attempted to be exported from the United States, for the purposes of determining whether the merchandise or its retail packaging infringes the copyright, bears or consists of a counterfeit mark of the registered mark, or is a violation" of § 1201. It also provides that it is not a violation of § 1905 for the CBP, "after a determination is made that merchandise is in violation" of § 1201, to provide information enumerated by the bill "to persons injured by such violation". This bill is similar to Title VI of both S 1866 [LOC | WW] and HR 3476 [LOC | WW], both titled the "American Growth, Recovery, Empowerment, and Entrepreneurship Act" or "AGREE Act". 3/20. The Supreme Court of the US issued its unanimous opinion [28 pages in PDF] in Mayo v. Prometheus, a patent case regarding whether certain processes used by doctors are patentable subject matter. The Supreme Court held that the claims at issue in the patents in suit cover processes that merely apply laws of nature that are not patentable under Section 101 of the Patent Act. The underlying patents do not involve information or communications technology (ICT). They involve medical procedure. However, the reasoning of the Supreme Court regarding why the claimed inventions are not patentable subject matter will also be applicable to certain ICT related claims. This opinion, along with the 2010 opinion [71 pages in PDF] in Bilski v. Kappos, impact and limit what is patentable in the context of software. See, story titled "Supreme Court Rules in Bilski" in TLJ Daily E-Mail Alert No. 2,113, July 28, 2010. 3/20. The Federal Communications Commission (FCC) adopted and released a Notice of Proposed Rulemaking (NPRM) [108 pages in PDF] regarding the exclusive contract prohibition of the program access rules. The FCC also issued a release that describes this NPRM. The FCC's regulations ban cable operators from entering into exclusive contracts with cable affiliated programming vendors that deliver their programming to cable operators via satellite. It is a forced sharing mandate that compels cable video programming networks to share their content with all video programming distributors. It is based upon a bottleneck monopoly rationale that may be long outdated by changes in the marketplace. This NPRM seeks comments on "whether to retain, sunset, or relax one of the several protections afforded to multichannel video programming distributors (``MVPDs´´) by the program access rules -- the prohibition on exclusive contracts involving satellite-delivered, cable-affiliated programming". This NPRM also seeks comments on several "potential revisions to our program access rules to better address alleged violations, including potentially discriminatory volume discounts and uniform price increases". The NPRM also sets out the text of each of four potential rule amendments. 47 U.S.C. § 548, which was enacted by the Cable Act of 1992, requires that the FCC write regulations "to promote the public interest, convenience, and necessity by increasing competition and diversity in the multichannel video programming market and the continuing development of communications technologies". Subsection (c)(2)(D) provides that these regulations "shall ... with respect to distribution to persons in areas served by a cable operator, prohibit exclusive contracts for satellite cable programming or satellite broadcast programming between a cable operator and a satellite cable programming vendor in which a cable operator has an attributable interest or a satellite broadcast programming vendor in which a cable operator has an attributable interest, unless the Commission determines (in accordance with paragraph (4)) that such contract is in the public interest". The FCC adopted a Report and Order and NPRM on September 11, 2007, which it released on October 1, 2007, that concluded that the exclusive contract prohibition is still necessary. That order also contains a sunset of October 5, 2012. That item was FCC 07-169 in MB Docket Nos. 07-29 and 07-198. See also, FCC release, and story titled "FCC Adopts R&O and NPRM Regarding Program Access Rules" in TLJ Daily E-Mail Alert No. 1,640, September 17, 2007. The just adopted item was on the FCC's agenda for its Commission meeting on March 21. However, it adopted and released this NPRM on March 20 in advance of the meeting. None of the three Commissions wrote statements. This NPRM is FCC 12-30 in MB Docket No. 12-68, MB Docket No. 07-18 and MB Docket No. 05-192. 3/20. The 2010 opinion of the U.S. Court of Appeals (DCCir) in the challenge to the Federal Communications Commission's (FCC) 2007 order regarding the exclusive contract prohibition of the program access rules may provide some guidance as to what would withstand judicial review under current market conditions. The divided Court of Appeals upheld the 2007 order. However, it also acknowledged that the market is changing, and that the exclusivity rule may no longer be necessary by 2012. See, Cablevision Systems Corp., at al. v. FCC and USA, also known as Cablevision I, U.S. Court of Appeals for the District of Columbia, App. Ct. No. 07-1425. The Court issued this opinion on March 12, 2010. It is also reported at 597 F.3d 1306. Judge Sentelle, who wrote the opinion of the court, opined that "It is true that the MVPD market has transformed substantially since the Cable Act was enacted in 1992. However, ... the transformation presents a mixed picture. While cable no longer controls 95 percent of the MVPD market, as it did in 1992, cable still controls two thirds of the market nationally. In designated market areas in which a single cable company controls a clustered region, market penetration of competitive MVPDs is even lower than nationwide rates." He continued that "The amount and diversity of programming has expanded rapidly, giving MVPDs more programming options even if one network were unavailable to them because of an exclusive contract. However, the four largest cable operators are still vertically integrated with six of the top 20 national networks, some of the most popular premium networks, and almost half of all regional sports networks. The Commission believes the ability and incentive for vertically integrated cable companies to withhold ``must-have´´ programming remains substantial enough to require the further extension of the exclusivity prohibition. We must defer to the Commission's analysis." Finally, he added that "We anticipate that cable's dominance in the MVPD market will have diminished still more by the time the Commission next reviews the prohibition, and expect that at that time the Commission will weigh heavily Congress’s intention that the exclusive contract prohibition will eventually sunset. Petitioners are correct in pointing out that the MVPD market has changed drastically since 1992. We expect that if the market continues to evolve at such a rapid pace, the Commission will soon be able to conclude that the exclusivity prohibition is no longer necessary to preserve and protect competition and diversity in the distribution of video programming." Judge Kavanaugh wrote a lengthy dissent in which he argued that the FCC's exclusivity rule violates the First Amendment. He also argued that the bottleneck monopoly justification for the exclusivity rule has collapsed as a result of changing market conditions. 3/19. Rep. Frank Wolf (R-VA) spoke in the House regarding Huawei's links to intelligence agencies of the People's Republic of China (PRC) and the People's Liberation Army (PLA), and the threats that Huweii poses to the U.S. He stated that "Huawei's efforts to sell telecom equipment to U.S. networks have long troubled the U.S. defense and intelligence community, which has been concerned that Huawei's equipment could be easily compromised and used in Chinese cyberattacks against the U.S. or to intercept phone calls and e-mails from American telecom networks." See, Congressional Record, March 19, 2012, at Pages H1376-8. See also, copy of speech in Rep. Wolf's web site. Rep. Wolf is scheduled to speak at a hearing of the U.S. China Economic and Security Review Commission (USCESRC) on Monday, March 26, 2012, titled "Developments in China's Nuclear and Cyber Programs". See, notice in the Federal Register, Vol. 77, No. 49, Tuesday, March 13, 2012, at Pages 14859-14860. 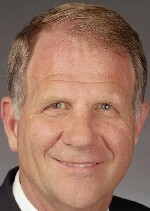 Rep. Wolf stated on March 19 that "Huawei poses a serious national and economic security threat to the U.S. It is no secret that the Peoples Republic of China has developed the most aggressive espionage operation in modern history, especially given its focus on cyberattacks and cyberespionage." Rep. Wolf relied heavily on news reports in the Wall Street Journal, Financial Times, New York Times, and Washington Post, as well as Congressional reports. He discussed PRC subsidization of Huawei. He said that "Due to China's secrecy, the full extent of Huawei's subsidies are not be fully known. But given its unrealistically low prices, it remains unknown whether Huawei is even making a profit as it seeks to dominate the telecom market. Why would the Chinese government be willing to generously subsidize such unprofitable products?" Rep. Wolf said that "the American people have a right to know whether their government is doing everything it can to protect their cell phone and data networks." "As Huawei increases its lobbying presence in Washington, members should be fully aware of the firm's intimate links to the PLA and the serious concerns of our defense and intelligence community." Moreover, "Verizon, Sprint, AT&T, T-Mobile and other U.S. network carriers should not be selling Huawei devices given these security concerns. But if they do, they have an obligation to inform their customers of these threats. This is especially important when carriers are selling Huawei phones and tablets to corporate customers. They have a right to know that Beijing may be listening." He also said that "It's not just Huawei's longstanding and tight connections to Chinese intelligence that should trouble us. Huawei has also been a leading supplier of critical telecom services to some of the worst regimes around the world", such as Iran. 3/19. Rep. Joe Baca (D-CA) and Rep. Frank Wolf (R-VA) introduced HR 4204 [LOC | WW], an untitled bill that would require the Consumer Product Safety Commission (CPSC) to promulgate regulations that require warning labels on the packaging of video games. This bill would require that any video game rated as E, T, M or A by the Entertainment Software Ratings Board (ESRB) must carry this: "WARNING: Exposure to violent video games has been linked to aggressive behavior." On June 27, 2011, the Supreme Court issued its opinion in Brown v. EMA & ESA, holding that video games are protected free speech, and that strict scrutiny analysis applies to government mandates to publish warning labels. See also, story titled "Supreme Court Holds First Amendment Protects Video Games" in TLJ Daily E-Mail Alert No. 2,250, June 28, 2011. It is therefore likely that were this bill enacted into law, it would be challenged by the video games industry, and the courts would hold it an unconstitutional violation of the First Amendment. Rep. Baca stated in a release that "The video game industry has a responsibility to parents, families, and to consumers -- to inform them of the potentially damaging content that is often found in their products ... They have repeatedly failed to live up to this responsibility. Meanwhile research continues to show that playing violent video games is a casual risk factor for a host of detrimental effects in both the short- and long-term, including increasing the likelihood of physically aggressive behavior. American families deserve to know the truth about these potentially dangerous products." This bill was referred to the House Commerce Committee (HCC). Neither Rep. Baca nor Rep Wolf are members. There are no other sponsors. 3/19. The Federal Communications Commission (FCC) adopted and released two items that relate to the Local Community Radio Act (LCRA) and low power FM (LPFM) broadcast radio. See, FCC 12-28 and FCC 12-29. The FCC also issued a release that describes these items. None of the Commissioners wrote statements. Background on LCRA. LPFM broadcasting law and policy making has a long and tempestuous history. See, story titled "History of LPFM Law and Policy Making" in TLJ Daily E-Mail Alert No. 2,183, December 19, 2010. The FCC, under the leadership of Democratic Chairman William Kennard, adopted rules in January of 2000 establishing a LPFM program in MM Docket No. 99-25, over the objection of many in the Congress. The Republican Congress then promptly passed a bill later in 2000, as part of a larger appropriations bill, that instructed the FCC to limit its LPFM program. The FCC, under the leadership of Republican Chairman Michael Powell, then revised the rules. One effect was to keep LPFM out of the top 50 radio markets. The LCRA was HR 6533 [LOC | WW] in the 111th Congress. The House and Senate passed it during the lame duck session at the end of 2010, without recorded votes. President Obama signed it into law on January 4, 2011. The LCRA eliminated the third adjacent channel distant separation requirements for LPFM radio broadcasting, which had been required by the 2000 legislation, thereby enabling more LPFM broadcasting in large markets. The LCRA also required the FCC to revise its rules. The LCRA provides that the FCC "shall modify the rules authorizing the operation of low-power FM radio stations, as proposed in MM Docket No. 99-25, to -- (1) prescribe protection for co-channels and first- and second-adjacent channels; and (2) prohibit any applicant from obtaining a low-power FM license if the applicant has engaged in any manner in the unlicensed operation of any station in violation of section 301 of the Communications Act". See, 47 U.S.C. § 301. It also requires that the FCC amend its rules to "eliminate third-adjacent minimum distance separation requirements between -- (1) low-power FM stations; and (2) full-service FM stations, FM translator stations, and FM booster stations". But, the FCC "shall not amend its rules to reduce the minimum co-channel and first- and second-adjacent channel distance separation requirements in effect on the date of enactment of this Act between -- (A) low-power FM stations; and (B) full-service FM stations". The FCC adopted and released its 3rd Further Notice of Proposed Rulemaking on July 12, 2011. See, story titled "FCC Adopts LPFM NPRM" in TLJ Daily E-Mail Alert No. 2,258, July 14, 2011. See also, stories titled "Congress Passes Low Power FM Bill" and "Summary of HR 6533, the Community Radio Act of 2010" in TLJ Daily E-Mail Alert No. 2,183, December 19, 2010, and "Obama Signs Low Power FM Bill" in TLJ Daily E-Mail Alert No. 2,193, January 5, 2011. FCC 12-28. The FCC adopted and released one item on March 19 titled "Fifth Report and Order, Fourth Further Notice of Proposed Rulemaking, and Fourth Order on Reconsideration". This 5th R&O, 4th FNPRM, and 4th OR [49 pages in PDF] is FCC 12-28 in MM Docket No. 99-25. The R&O portion of this item eliminates the third adjacent channel spacing requirements applicable to LPFM stations, as mandated by the LCRA. The FNPRM seeks comment on how to implement other provisions of the LCRA related to waivers of the second adjacent channel spacing requirements, third adjacent channel interference, and interference to the input signals for FM translators. It also seeks comments "on proposals to reduce the potential for licensing abuses and other proposals to promote a vigorous community radio service". It also seeks comment on elimination of the LP10 class of service and an increase of the maximum LPFM facilities in certain areas. Initial comments will be due within 60 days of publication of a notice in the Federal Register (FR). Reply comments will be due within 90 days of such publication. As of the March 20 issue of the FR, such notice had not yet been published. The OR denies in part, and defers in part, the petition for reconsideration filed by Ace Radio. FCC 12-29. The FCC also adopted and released a second item on March 19 titled "Fourth Report and Order and Third Order on Reconsideration". This 4th R&O and 3rd OR [40 pages in PDF] is FCC 12-29 in MM Docket No. 99-25, MB Docket No. 07-172, and RM-11338. See also, Appendix A and Appendix B. The R&O portion of this item addresses the approximately 6,500 applications that remain pending from the 2003 FM translator window. Translators are used to cover geographic areas not adequately covered by an over the air broadcaster's main signal. A translator receives a signal on one frequency and rebroadcasts it on another. Licensing translators would reduce the licenses available for LPFM. FM broadcasters submitted filings to the FCC arguing that FCC should first act on these translator applications. See, for example, February 27 letter of National Public Radio (NPR). See also, the National Association of Broadcasters, (NAB) intial comment and reply comment. LPFM proponents submitted filings to the FCC arguing that the FCC should open the LPFM application window first. The R&O states the FCC's "extensive spectrum availability studies set forth in Appendices A and B" establish that "limited LPFM licensing opportunities remain in many markets". The R&O states that "the next LPFM window presents a critical, and indeed possibly a last, opportunity to nurture and promote a community radio service that can respond to unmet listener needs and underserved communities in many urban areas." It finds that "it is necessary to dismiss significant numbers of translator applications in spectrum limited markets to fulfill that opportunity." It also states that "With regard to the 6,500 applications that remain pending from the 2003 FM translator window, we also adopt a national cap of 50 applications and a market-based cap of one application per applicant per market for the 156 markets identified in Appendix A to minimize the potential for speculative licensing conduct." The OR dismisses petitions for reconsideration of the Third Report and Order as they relate to the now abandoned ten application cap processing policy. Proponents of LPFM expressed satisfaction. The Prometheus Radio Project (PRP) stated in a release that these two FCC items are a "victory for communities nationwide". The PRP added that "To make room for a new wave of local stations, the FCC will clear a backlog of over six thousand pending applications for FM translators, which are repeater stations that rebroadcast distant radio stations. The decision will allow for the first new urban community radio stations in decades." Matt Wood of the Free Press stated in a release that "Real people deserve space on the public airwaves that are often dominated by corporate media. Free Press is thrilled that the FCC has taken this next step toward making community radio a reality across the nation -- in small towns and in big cities, too -- including densely populated urban areas where community voices have been kept off the dial for too long. These noncommercial stations will help to diversify the airwaves, support local music and culture, and assist communities during emergencies." Wood added that "it appears the FCC used the time since the law's passage to craft careful and diligent solutions for the implementation challenges the Commission faced." 3/19. The House amended and passed HR 3606 [LOC | WW], a bill to reduce securities regulation for small and start up companies. The vote on final passage on March 8 was 390-23. See, Roll Call No. 110. The Senate is scheduled to take up this bill the week of March 19. This bill was introduced on December 8, 2011, as the "Reopening American Capital Markets to Emerging Growth Companies Act of 2011". As amended by the House, this bill is titled "Jumpstart Our Business Startups Act" or JOBS Act. As amended, it is a composite of provisions from several stand alone bills reported by the House Financial Services Committee (HFSC). These provisions would reduce securities regulation for small companies. If enacted into law, this bill would incent the creation of new companies, and facilitate their raising of capital. It would particularly benefit the technology sector. Rep. Eric Cantor (R-VA) stated in the House on March 7 that "Right now it's just too difficult to start up a business. The threat of higher taxes and increased regulations has small businessmen and -women and entrepreneurs frozen in their tracks. Small businesses and start-ups simply do not have the bandwidth to comply with Washington's redtape, and yet they are the ones we're counting on to create jobs. Rep. Cantor (at right) said that "the JOBS Act will get small businesses and entrepreneurs back into the game by removing costly regulations and making it easier for them to access capital. This legislation also paves the way for more start-ups and small businesses to go public, which will attract new investors and will allow small businesses to grow and create jobs." Rep. Spencer Bachus (R-AL), Chairman of the HFSC, stated in a release on March 8 that "The House has passed more than two dozen bills that will help grow our economy and create jobs, yet the do-nothing Senate continues to stall. Senator Reid must allow a vote on these needed bills, including the JOBS Act we’re sending him today." The National Venture Capital Association, Tech America, Information Technology Industry Council (ITIC), and other groups sent a letter to Senators on March 15 "to urge Senate passage of H.R. 3606, the JOBS Act. This measure, supported by the Administration, and passed by the House of Representatives by an overwhelmingly bipartisan margin of 390-23, seeks to modernize the nation's capital formation rules and provide for a transition into public company regulatory compliance for emerging growth companies." 3/19. The following is a summary of HR 3606 [LOC | WW] as passed by the House on March 8, 2012. As amended, it is titled "Jumpstart Our Business Startups Act" or JOBS Act". It includes language from several stand alone bills, along with amendments approved during House consideration. Title I of the House bill is based upon the original HR 3606, the "Reopening American Capital Markets to Emerging Growth Companies Act of 2011", introduced on December 8, 2011, by Rep. Stephen Fincher (R-TN) and Rep. John Carney (R-DE), and reported by the HFSC on March 1. It creates a new class of public companies titled "emerging growth companies" or EGCs. It defines an EGC as "an issuer that had total annual gross revenues of less than $1,000,000,000 ... during its most recently completed fiscal year". It also provides numerous forms of regulatory relief for EGCs, including reduced disclosure requirements, and further Sarbox 404 relief. See also, story titled "House Financial Services Committee to Mark Up Bill to Provide Regulatory Relief to Emerging Growth Companies" in TLJ Daily E-Mail Alert No. 2,336, February 14, 2012. The National Venture Capital Association (NVCA) stated in a March 8 release that this title creates "a regulatory on-ramp for companies with less than $1 billion in revenues for up to the first five years after an IPO. In addition to offering temporary relief from onerous and costly provisions such as Sarbanes Oxley Section 404b, the measures also allow for these companies to more effectively communicate with investors before, during and after the offering, creating additional safe harbors for additional analyst research coverage and allowing an expanded range of pre-filing communications." Title II of the House bill is based upon HR 2940 [LOC | WW], the "Access to Capital for Job Creators Act", introduced on September 15, 2011, by Rep. Kevin McCarthy (R-CA), marked up by the HFSC on October 26, and passed by the House on November 3. Title II of the bill as amended by the House amends Section 4 of the Securities Act of 1933, which is codified at 15 U.S.C. § 77d, to, among other things, remove the regulatory ban that prevents small privately held companies from using advertisements to solicit investors. Title III of the House bill is based upon the crowdfunding provisions of HR 2930 [LOC | WW], the "Entrepreneur Access to Capital Act", introduced on September 14, 2011, by Rep. Patrick McHenry (R-NC), marked up by the HFSC on October 31, and passed by the House on November 3. It removes statutory and Securities and Exchange Commission (SEC) restrictions that prevent crowdfunding, which enables raising equity capital from a large pool of small investors who may or may not be considered accredited by the SEC. It provides an exemption from Section 4 of the Securities Act of 1933. This exemption would apply to certain companies that sell less than $1 Million is securities per year (or $2 Million if the company provides investors an audited financial statement), and no investor is sold more than the lesser of $10,000 in securities per year or 10 percent of such investor's annual income. Rep. McHenry, the sponsor of the crowdfunding bill, issued a release on March 8 that states that this provides "a crowdfunding exemption to SEC registration requirements for firms raising up to $2 million, with individual investments limited to $10,000 or 10 percent of an investor’s income. The legislation also erases limits on the number of investors that can participate in crowdfunding, extending investment opportunities to everyday investors that are currently not an option under SEC regulation." Google's Director of Public Policy, Pablo Chavez, stated in a release on March 15 that "entrepreneurs need access to capital to make grow their ideas into successful companies". "The JOBS Act makes it easier for startups to raise capital. The crowdfunding provisions drafted by Congressman Patrick McHenry and Majority Leader Eric Cantor are particularly exciting and we applaud the House for its focus on helping to promote innovation and economic growth." Chavez added that "Already, thousands of new companies have been funded by crowdfunding platforms like Kiva, Kickstarter, and IndieGogo. With the growth of social networks and other online platforms, crowdfunding is a promising investment model that would allow more Americans to invest in a new company simply by using the Internet to connect with entrepreneurs." Title IV of the House bill is based upon HR 1070 [LOC | WW], the "Small Company Capital Formation Act", introduced on March 14, 2011, by Rep. David Schweikert (R-AZ), marked up by the HFSC on September 14, 2011, and passed by the House on November 2, 2011. It amends Section 3(b) of the Securities Act of 1933, codified at 15 U.S.C. § 77c(b), to increase the SEC Regulation A exemption threshold from $5 Million to $50 Million. Title V is based upon HR 2167 [LOC | WW], the "Private Company Flexibility and Growth Act", introduced on June 14, 2011, by Rep. Schweikert, and marked up by the HFSC on December 12, 2011. It amends Section 12(g)(1)(A) of the Securities Exchange Act of 1934, codified at 15 U.S.C. § 78l(g)(1)(A), to raise the shareholder threshold for mandatory registration with the SEC from 500 to 1,000 shareholders. 3/19. The Government Accountability Office (GAO) released a report [43 pages in PDF] titled "Electronic Waste: Actions Needed to Provide Assurance That Used Federal Electronics Are Disposed of in an Environmentally Responsible Manner". 3/19. FCC Commissioner Robert McDowell (at left) testified before the House Appropriations Committee's (HAC) Subcommittee on Financial Services and General Government hearing on the FY 2012 budget for the Federal Communications Commission (FCC) on March 19, 2012. He wrote in his prepared testimony, at pages 5-6, that "the long-standing international consensus has been to keep governments from regulating core functions of the Internet's ecosystem. Unfortunately, some nations, such as China, Russia, India, Iran and Saudi Arabia, have been pushing to reverse this consensus by giving the International Telecommunication Union (ITU) regulatory jurisdiction over Internet governance." He warned that "These efforts could ultimately partition the Internet between countries that live under an intergovernmental regulatory regime and those member states that decide to opt out. Such a legal structure would be devastating to global free trade and rising living standards. It would also create an engineering morass." 3/19. The Department of Commerce (DOC) published a notice in the Federal Register (FR) announcing that it renewed the charter of the National Medal of Technology and Innovation Nomination Evaluation Committee on March 1, 2012. See, FR, Vol. 77, No. 53, Monday, March 19, 2012, at Page 15997. 3/19. The House Appropriations Committee's (HAC) Financial Services and General Government held a hearing on the FY 2012 budget for the Federal Communications Commission (FCC). See, prepared testimony of FCC Chairman Julius Genachowski . The FCC requests a FY 2013 budget of $346,782,000, up 2 percent from its FY 2012 budget of $339,844,000. See also, prepared testimony of FCC Commissioner Robert McDowell. 3/19. The U.S. Customs and Border Protection (USCBP), Department of Homeland Security (DHS), and Department of the Treasury published a notice in the Federal Register that announces, describes, recites, and requests comments on, the USCBP's interim rules that implement the preferential tariff treatment and other customs related provisions of the US-Korea Free Trade Agreement. The deadline to submit comments to the USCBP is May 18, 2012. The effective date of these interim rules is March 15, 2012. See, Federal Register, Vol. 77, No. 53, Monday, March 19, 2012, at Pages 15943-15960. 3/19. The U.S. Court of Appeals (4thCir) issued its opinion in Cingular Wireless v. Fairfax County, a case regarding denial of permission to build a wireless communication tower. Cingular, now AT&T, filed a complaint in the U.S. District Court (EDVa) alleging violation of 47 U.S.C. § 332(c)(7)(B). The District Court granted judgment to Fairfax County. The Court of Appeals affirmed. This case is New Cingular Wireless v. Fairfax County Board of Supervisors, U.S. Court of Appeals for the 4th Circuit, App. Ct. No. 10-2381, an appeal from the U.S. District Court for the Eastern District of Virginia, D.C. No. 1:10-cv-00283-LMB-TRJ. 3/16. The American Civil Liberties Union (ACLU), Electronic Frontier Foundation (EFF), Center for Democracy and Technology (CDT), and others filed an amicus curiae brief with the U.S. Court of Appeals (5thCir) in In the Matter of the Application of the United States of America for Historical Cell Site Data. They argued that the Stored Communications Act (SCA) grants court the discretion to require the government to obtain a warrant based upon probable cause before accessing historical cell phone location data. The SCA compels this conclusion, and the Court of Appeals should avoid the 4th Amendment issue. 3/16. The Government Accountability Office (GAO) released a report [36 pages in PDF] titled "IRS Needs to Further Enhance Internal Control over Financial Reporting and Taxpayer Data". This report finds that "Although IRS implemented numerous controls and procedures intended to protect key financial and tax-processing systems, control weaknesses continue to jeopardize the confidentiality, integrity, and availability of financial and sensitive taxpayer information." This report states that "information security weaknesses existed in access and other information system controls over IRS's financial and tax-processing systems. The financial and taxpayer information on IRS systems will remain particularly vulnerable to internal threats until the agency (1) addresses weaknesses pertaining to identification and authentication, authorization, cryptography, audit and monitoring, physical security, and configuration management, and (2) fully implements key components of a comprehensive information security program that ensures risk assessments are conducted in the current operating environment; policies and procedures are appropriately specific and effectively implemented; security plans are written to reflect the current operating environment; processes intended to test, monitor, and evaluate internal controls are appropriately detecting vulnerabilities; processes intended to check configuration management are in place; and backup procedures are working effectively." March 15, 2001, GAO report [31 pages in PDF] titled "Information Security: IRS Electronic Filing Systems", and story titled "IRS Data Vulnerable" in TLJ Daily E-Mail Alert No. 145, March 16, 2001. November 14, 2003, GAO report [36 pages in PDF] titled "Information Security: Improvements Needed in Treasury's Security Management Program", and story titled "GAO Reports that Treasury Department Has Information Security Weaknesses" in TLJ Daily E-Mail Alert No. 780, November 17, 2003. April 15, 2005, GAO report [30 pages in PDF] titled "Information Security: Internal Revenue Service Needs to Remedy Serious Weaknesses over Taxpayer and Bank Secrecy Act Data", and story titled "IRS Information Security Weaknesses Put Taxpayer Data at Risk" in TLJ Daily E-Mail Alert No. 1,117, April 18, 2005. January 9, 2009, GAO report [30 pages in PDF] titled "Information Security: Continued Efforts Needed to Address Significant Weaknesses at IRS", and story titled "GAO Finds IT Security Weaknesses at IRS" in TLJ Daily E-Mail Alert No. 1,883, January 14, 2009. See also, story titled "Sen. Grassley Condemns IRS for 2,300 Missing Computers" in TLJ Daily E-Mail Alert No. 342, January 9, 2002, and story titled "IRS Loses More Computers, Jeopardizes Taxpayer Info" in TLJ Daily E-Mail Alert No. 493, August 16, 2002. 3/16. The Federal Communications Commission (FCC) published a notice in the Federal Register (FR) that sets comment deadlines for its Notice of Proposed Rulemaking (NPRM) [85 pages in PDF] regarding the 800 MHz cellular service. The FCC proposes, among other things, to issue geographic area overlay licenses through competitive bidding in two stages. The FCC adopted and released this NPRM on February 15, 2012. It is FCC 12-20 in WT Docket No. 12-40. The deadline to submit initial comments is May 15, 2012. The deadline to submit reply comments is June 14, 2012. See, FR, Vol. 77, No. 52, Friday, March 16, 2012, at Pages 15665-15681. 3/16. The Rural Utilities Service (RUS) published a notice in the Federal Register (FR) that announces that the RUS has adopted as final its interim rules regarding loans to expand or improve 911 access and integrated emergency communications systems in rural areas. See, FR, Vol. 77, No. 52, Friday, March 16, 2012, at Pages 15564-15565. 3/16. Tony West, the acting Associate Attorney General, gave a speech in Washington DC in which he recounted the Department of Justice's (DOJ) prosecution of Willoughby Farr for phone bill cramming. West stated that most consumers do not review their phone bills. He continued that "Willoughby Farr knew that. And that knowledge made him rich. He figured out a way to place small charges -- a few cents here, a dollar there -- on people's phone bills. Usually on the last page. And unsuspecting customers would pay it. It was a classic telephone cramming scheme. What's remarkable is that he made over $30 million doing that. Even more remarkable: Willoughby Farr did all this from a jail cell. You see, he was serving a sentence for another crime -- and he had free time and computer access." See also stories titled "Senate Commerce Committee Releases Report on Unauthorized Charges on Phone Bills", "Senate Commerce Committee Holds Hearing on Phone Bill Cramming", and "FCC Adopts Cramming NPRM" in TLJ Daily E-Mail Alert No. 2,258, July 14, 2012. 3/16. The Office of the U.S. Trade Representative (OUSTR) published a notice in the Federal Register (FR) in which it requests comments regarding (1) potential revocation of competitive need limitations (CNL) waivers, (2) possible de minimis CNL waivers, and (3) possible redesignations of articles currently not eligible for GSP benefits because they previously exceeded the CNL thresholds. The deadline to submit comments is 5:00 PM on April 6, 2012. See, FR, Vol. 77, No. 52, Friday, March 16, 2012, at Pages 15839-15841. Go to News from March 11-15, 2012.